The big 4-0 is certainly a reason to celebrate. 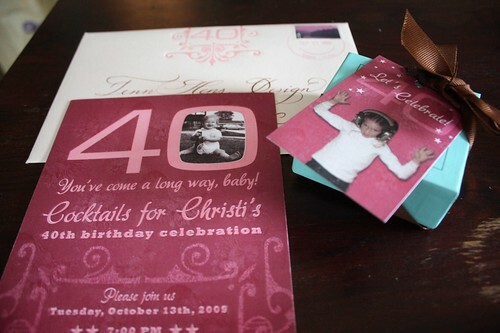 This particular client had some hilarious photos to work with on her invitation. 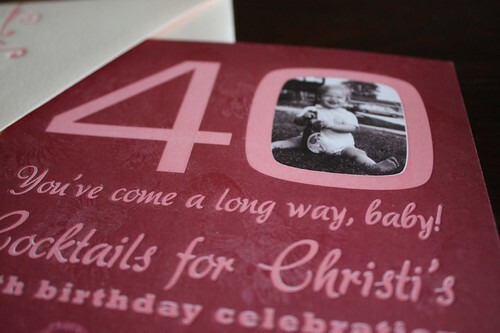 So we designed a girlie, whimsical pattern in the background, then letter-pressed the hot pink type. 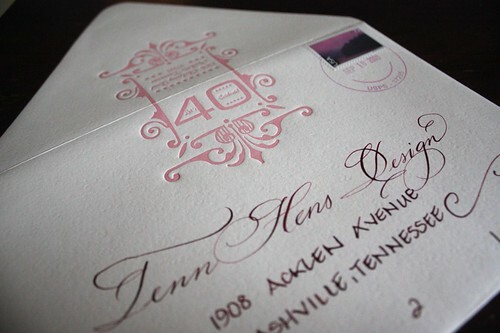 Our favorite detail was the luxurious envelopes. They had a slight texture and were letter-pressed as well on both sides! We carried the theme over to napkins and favor tags. Lucky guests received a small box of truffles from The Cocoa Tree in Nashville - yum!